This is a 5-ingredient one dish wonder! Try it, you’ll love it! 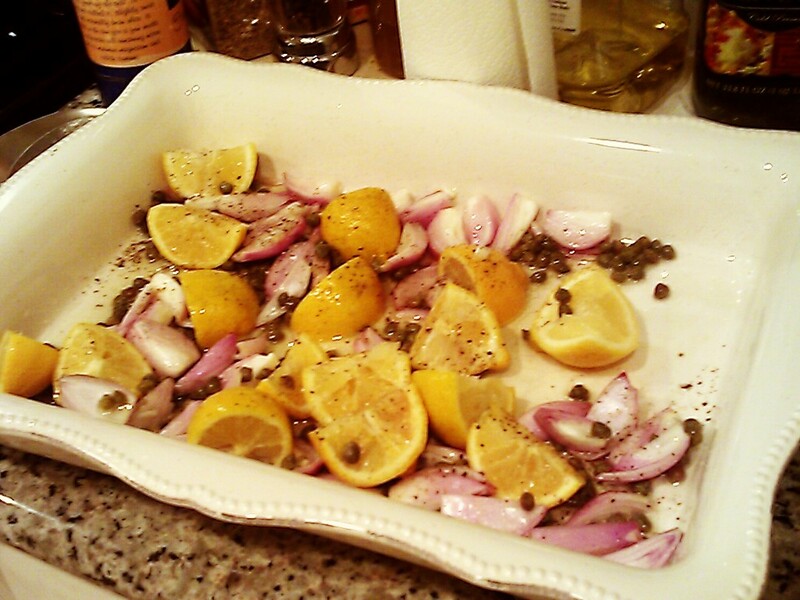 In a large deep baking dish, add shallots, capers (or caperberries), and olive oil. Add “one squeeze” lemon juice from each lemon slice and toss them into the dish. (Do not squeeze all the lemon juice out.) Season with salt and pepper and toss. 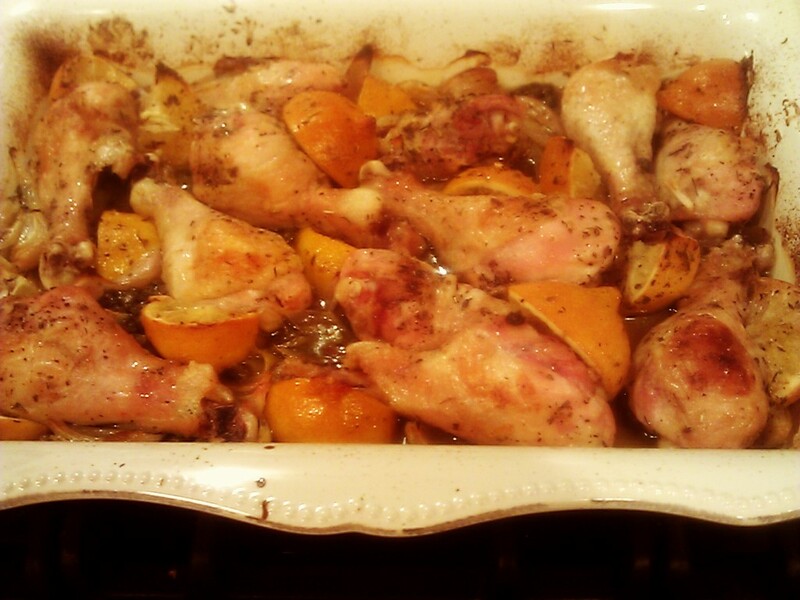 Season chicken with salt, pepper and Herbes de Provence. Nestle the chicken into the dish. Roast uncovered for 1 hour. About 15 minutes into baking time turn chicken over once. Adapted from Food and Wine. Nice, very nice. I love how you’re also a fan of drumsticks and thighs although I might have to sneak in a little bit of white meat for my husband. Frankly I think people just like white meat because it’s easier to cut without the bone. Ah, hadn’t thought of that. I confess, we did eat with our fingers to finish our chicken, albeit with much proper and grace, being mindful to take small bites to avoid any excess mess.